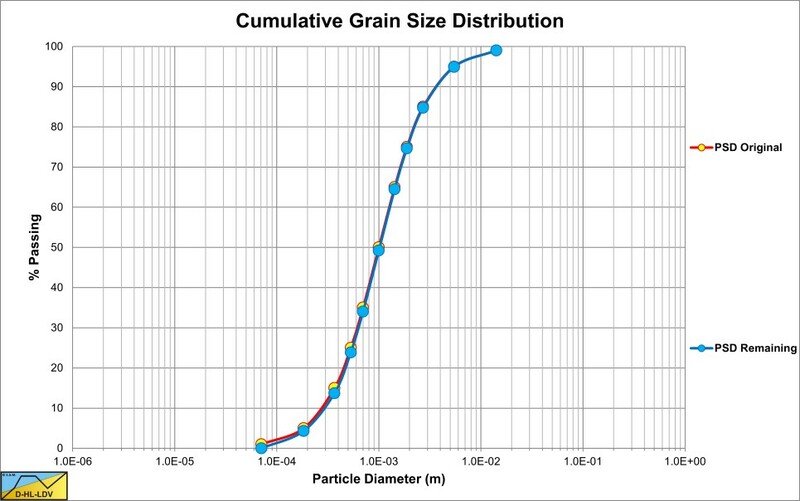 For graded sands & gravels a set of standard graphs is created for a spatial or transport volumetric concentration Cvs of 17.5% and a particle diameter of d=1 mm. 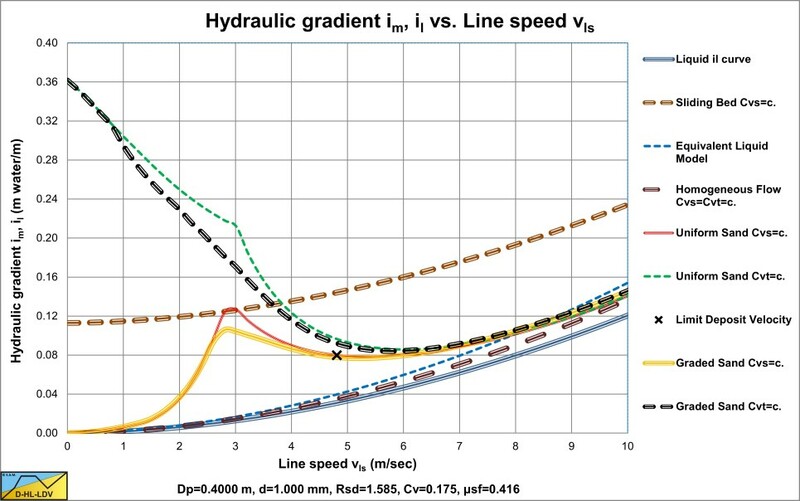 The DHLLDV Framework is derived for uniform sands and gravels and constant spatial volumetric concentration Cvs. But how does the model behave for graded sands and gravels. The flow chart on this website shows how to deal with graded sands and gravels. 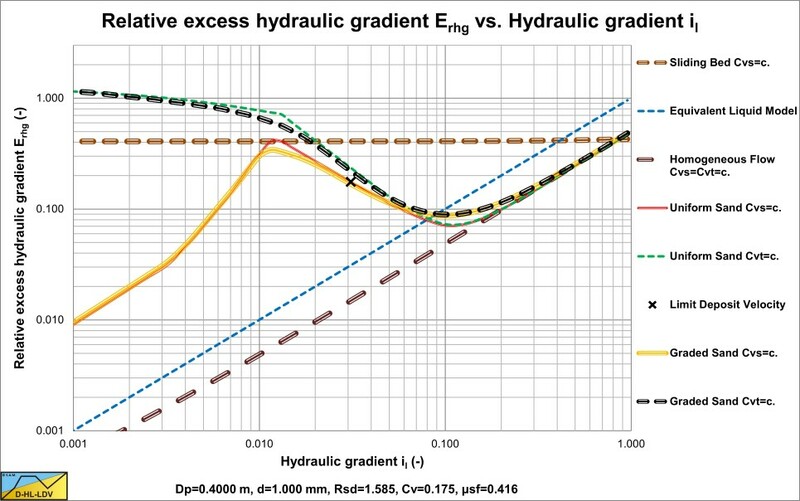 The resulting hydraulic gradient im and relative excess hydraulic gradient Erhg curves depend on the grading of the sand or gravel, the d50 of the PSD and the pipe diameter Dp. The following graphs are made for a sand with d50/d15=2.718 and d85/d50=2.718. 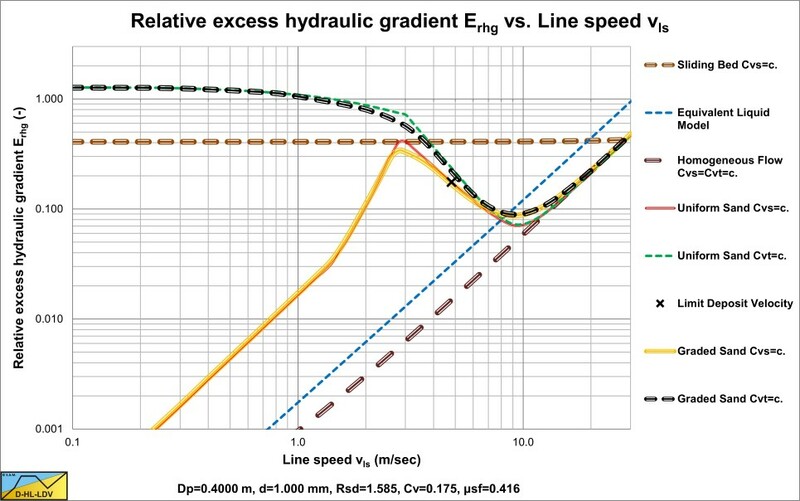 The graphs show that the curves of graded sands and gravels are less steep in the heterogeneous regime, just as predicted by Wilson et al. (1992), but not to the same degree. The more graded the sands or gravels, the less steep the heterogeneous curve. However the steepness also depends on the pipe diameter and the d50 of the PSD. The PSD graph shows two curves. The original PSD and the remaining PSD. The difference is the amount of fines, assumed to form a homogeneous pseudo liquid with adjusted density and viscosity. Because of the grading, the slip factor of the graded sand or gravel is slightly larger (the slip is slightly smaller) resulting in a smaller bed fraction (the fraction of the pipe occupied by the bed), compared with the uniform sand or gravel.